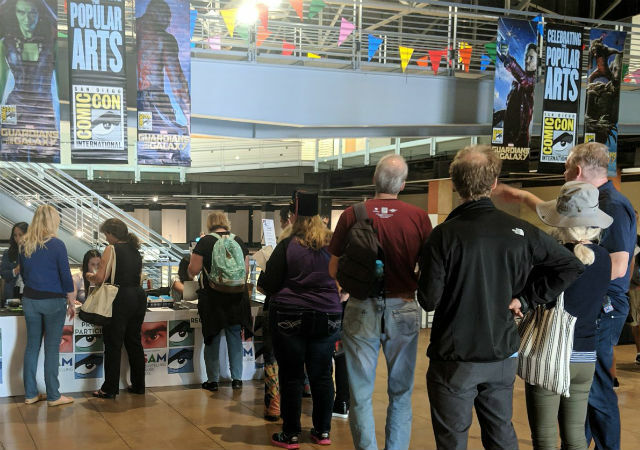 There were no displays, no artifacts and no costumes, but the Comic-Con Museum made its low-key debut Saturday at Balboa Park. 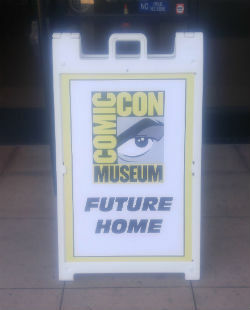 The museum, or rather the location of the future museum, hosted its first Comic-Con related event just nine months shy of next year’s landmark golden anniversary of the Con. “Storytelling Across Media” was a daylong symposium of panels about storytelling in movies, comic books and board games. The panels were held in the basement of the former sports-themed Hall of Champions, where the Comic-Con museum will eventually be located. Comic-Con had held a similar event in San Francisco a few years ago and organizers decided to replicate it in San Diego at the museum site. About 400 people had registered for the symposium, a far cry from the 130,000 plus attendees from around the world who cram into the Gaslamp each summer for Comic-Con. There were no cosplayers dressed as their favorite characters. There were no elaborate sets or displays from film and television companies. And there no long lines that snaked around blocks of downtown San Diego. Fans didn’t seem to mind. 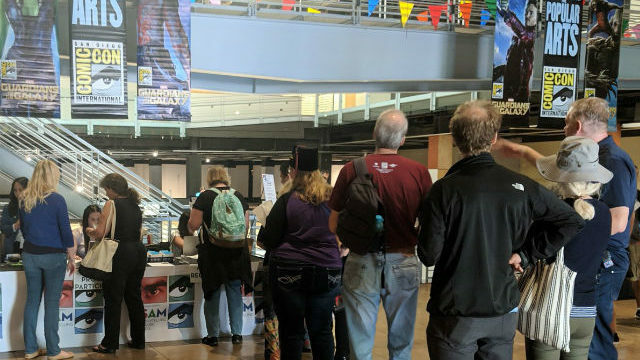 “I didn’t know what to expect,” said Jay Bostwick, a Salt Lake City resident who has attended the Con and decided to drop by the symposium while he was in town. Fans in attendance could imagine the endless possibilities of the new museum. The building was empty and there were still sports photos and reminders of the Hall of Champions. Glanzer said fundraising and planning continues on the Comic-Con museum but organizers don’t expect it to open until 2021. “We want to do it right, not fast,” he said. But for some, just the mere promise of a Comic-Con museum on the horizon showed how far comics and pop culture have come.